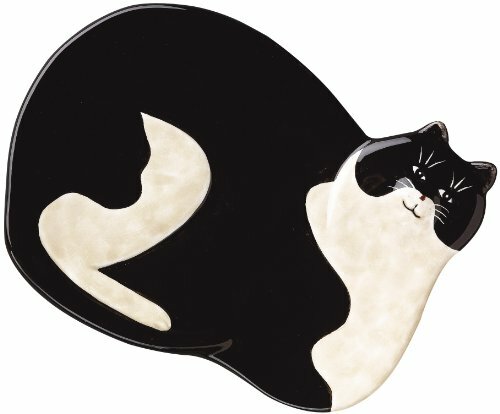 Boston Warehouse's clever and whimsical Warren Kimble Fat Cat Spoonrest is made of hand painted earthenware. Spoonrest measures 6-inches long and 4.5-inches wide. Dishwasher safe; hand wash recommended. From Boston Warehouse: creative ideas for home entertaining.